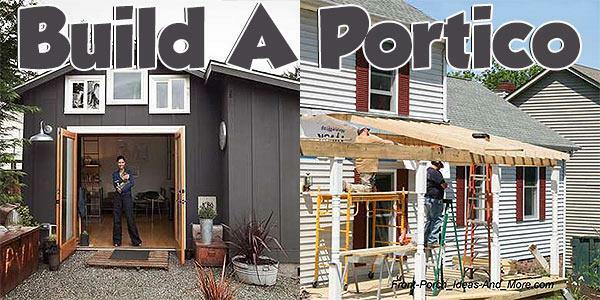 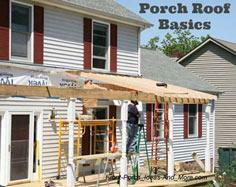 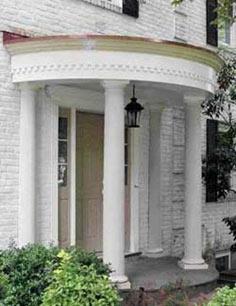 Create real curb appeal with a new portico or porch for your front entry. 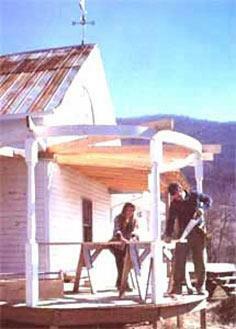 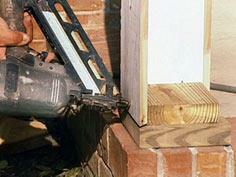 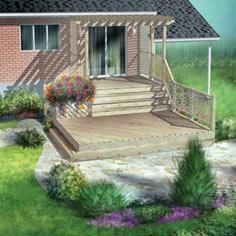 You can also add homey charm and comfort by adding a portico to your deck or patio. 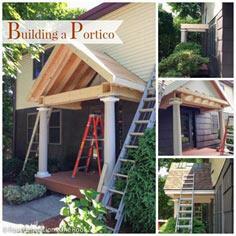 A portico is a good project for learning a lot about building and construction and is a great opportunity to add value to your home. 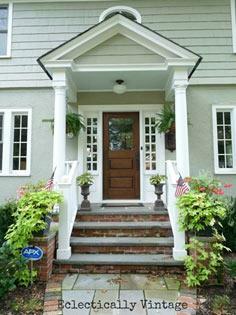 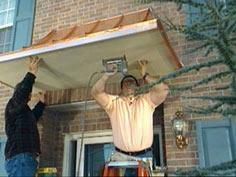 Whether you're simply adding a roof to shelter to your front porch or giving the front of your home a complete facelift, you're sure to find the perfect plan to add a portico or porch to your home. 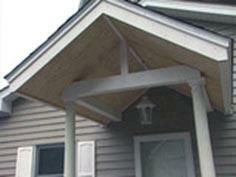 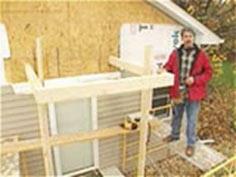 With building instructions on how to create columns to enclosing a porch for three-season living, you'll discover blueprints, plans and instructions that make this a job you're ready to tackle. 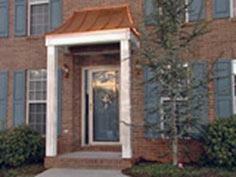 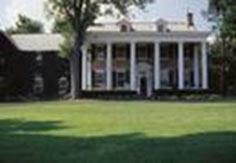 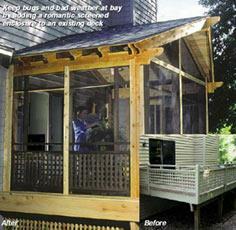 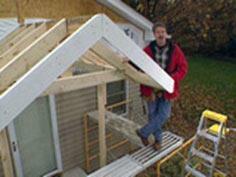 There are many styles and sizes available, and you'll find plans that will enhance almost every architectural design. 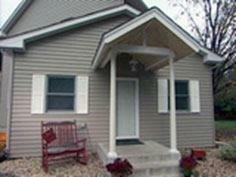 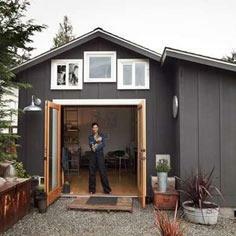 You can change your home's front facade entirely or improve its existing charm and style.